added on the 2011-04-25 11:57:13 by JAC! My first Atari VCS release inspired by the the book "Racing the Beam". added on the 2011-04-25 12:01:08 by JAC! Welcome to the world of VCS coding! added on the 2011-04-25 13:12:52 by JAC! Agree with pigpen. It was really a limited machine. It's a first prod compared with the stuff from Trilobyte, but still a good one. And yes, getting anything at all out of this pre-1980 platform is an achievement. Download archive updated with V1.1 which has faster scrolls and supports the RESET button to restart the demo at any time so you don't have to pull the power switch. added on the 2011-05-04 09:27:28 by JAC! Getting anything at all out of the VCS is a challenge, so pretty good for a first prod. The music is a bit repetitive though. @Tjoppen: The people who tested the thing for me on the real machine were in the US and the tune was originally designed for 60Hz. 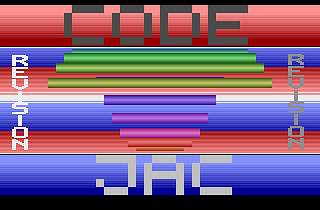 Also NTSC has the full 128 colors palette which looks better in case of the raster bars. At last if it runs fast enough on NTSC it is easy to port to PAL. I created the PAL version only because SDW mentioned that he'd like to run it on his real machine and because mine is PAL, too. Fortunately I created the PAL version the day before Revision because it turned out that though all PCs and things were 50Hz, the main beamer was 60Hz. added on the 2011-05-20 13:32:25 by JAC! Thanks to the pals at AtariAge, I finally managed to fix the VBLANK and the variables scanlines bug, so it should run now properly on all real TVs as well and not only on mine. Here is the V1.2 download and also the source. added on the 2011-11-05 00:45:41 by JAC! rulez added on the 2011-11-30 16:19:57 by ɧ4ɾɗվ. A demo named after the great book that got me into VCS coding? Cool! that is neat :) nice sound! page created in 0.015400 seconds with 15 queries.